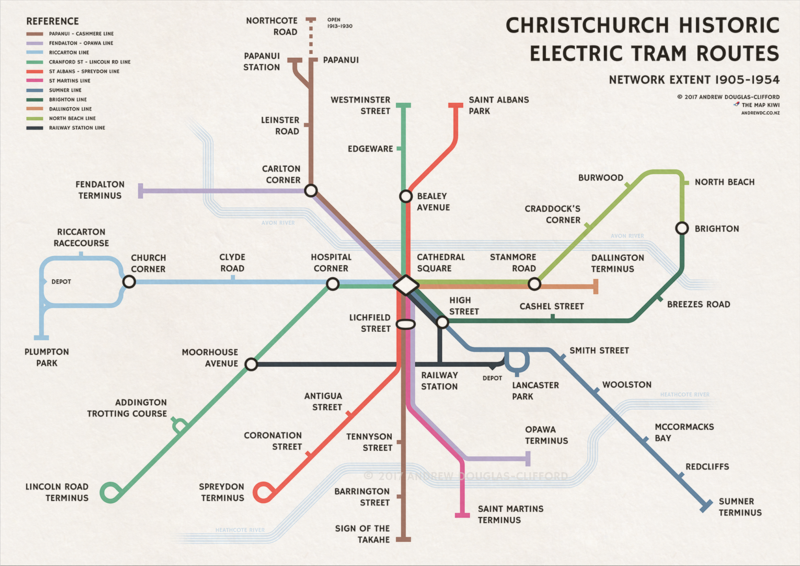 Trams used to rule the streets of New Zealand in the first half of the 20th Century, with Christchurch, Wellington, Auckland, Dunedin and more all developing extensive tram networks. Sadly, as car use became more widespread and service running costs increased, these networks were replaced with lower cost bus services in the 1950's. 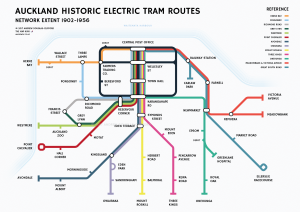 Many of the historical routes can still be seen in modern bus routes today. 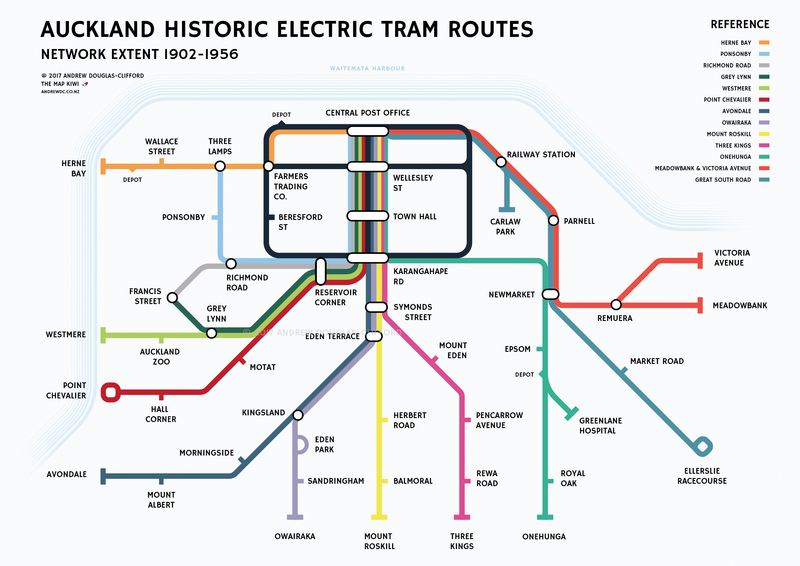 With the widespread discussion ongoing about bringing modern light rail to cities, it seems a shame that the original streetcar networks are no longer around. Maybe it's a chance to bring them back? 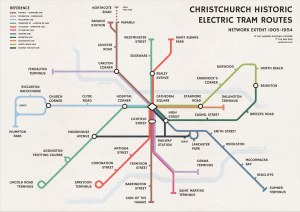 To get a perspective of the extent of these tram routes during their heyday, I created these transit maps of the electric tram networks of Christchurch and Auckland. These maps are indicative routes based on available historical information. If you're interested in reading in more detail about trams in New Zealand, check out End of the Penny Section: When Trams Ruled the Streets of New Zealand by Graham Stewart.